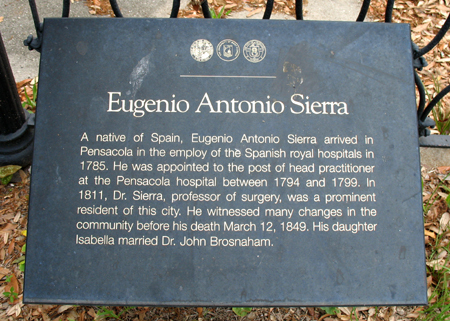 Who died on the 6th of Sept.
Dr. Eugenio Antonio Sierra was born 15 November 1760 in Spain and died 12 March 1849 in Pensacola. His age at death was 88, not 99. 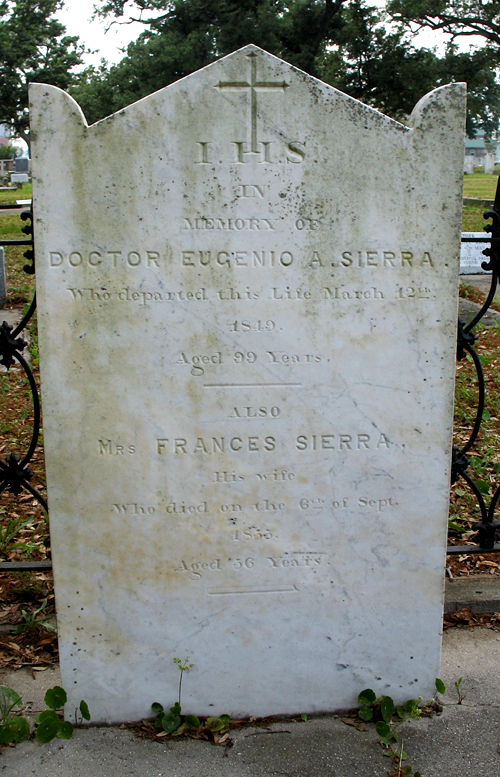 His wife, Francesca Dauphin Sierra, was born about 1777 in Pensacola and died there on 6 September 1833. 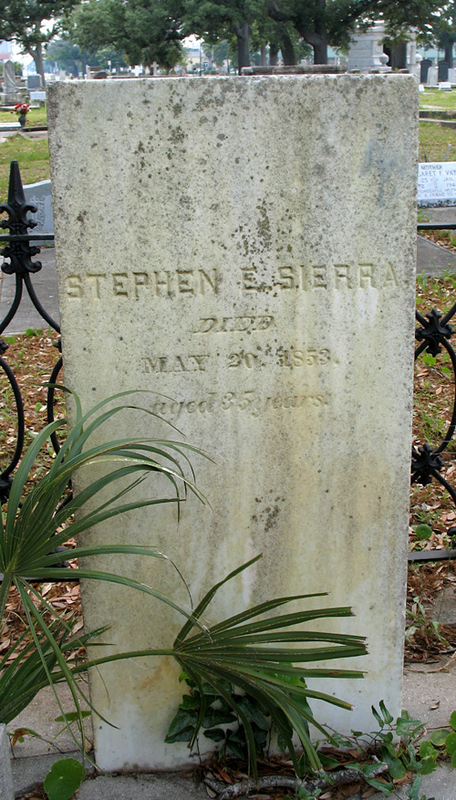 Stephen Sierra was their youngest child. 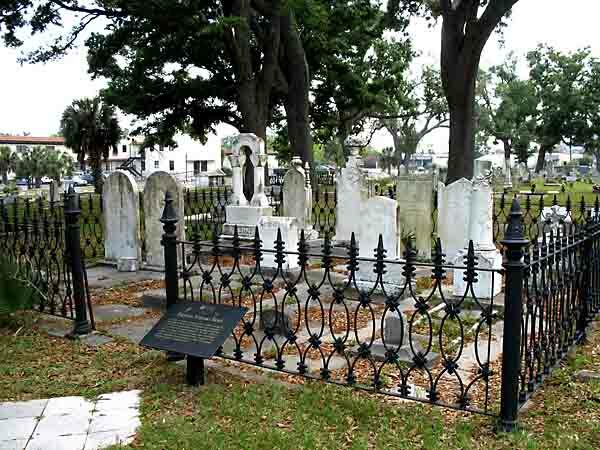 Besides Stephen, Isabella Sierra Brosnaham was the only other child to be buried in this lot. Joseph and his wife were buried in another spot in St. Michael's Cemetery. It is not known where Gertrudis and Eulalie, the oldest children, were buried. Irene was buried in St. Louis, Missouri. Photographs by Anne Field, May 2007.